Talpa Europaea is the species of mole that is most commonly found in Europe. This mole species is also known as the common mole and European mole in English, while in French it is called the Taupe D’Europe. The Talpa Europaea is widespread and abundant throughout Europe and is not endangered or under serious threat at this time. The population trend of this species of mole is currently stable. This species of mole can be found throughout Great Britain and Spain and spreads east through continental Europe all the way to the River Irtysh and River Orb in Asian Russia. Although this species of mole has not been discovered in southern Italy, southern Iberia or the southern Balkans, it thrives throughout much of the rest of the Mediterranean. It can also be found in Iceland, certain Mediterranean islands, Ireland and the North Sea islands. This shows that this moles species is very hardy and is able to withstand a wide temperature range. This mole species can survive almost anywhere providing that the soil is deep enough to allow it to construct long burrows. However, this species of mole prefers to make its home in meadows, pastures, gardens and parks. Although the mole has occasionally been found in coniferous forests, this is rare. The mole is generally a solitary creature and prefers to live alone. Moles can be very territorial as well as aggressive if cornered. They mainly eat earthworms, although they will also eat a wide range of other insects that live in the soil. The Talpa Europaea is widely seen as a pest, as it digs tunnels under gardens and farmland, destroying crops or plants that cross its path. Some farmers have been known to poison mole holes and runs when they discover moles on their property, although these days this is being widely discouraged. However, the mole is not a serious threat to land and can easily be relocated. 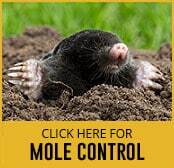 This should always be done by a professional, as moles have been known to attack animals such as domestic dogs and even small children if they feel threatened. In the past, large numbers of this species of mole were hunted for their fur, especially in parts of northern Europe. Fortunately, mole hunting has been banned in most countries, while the trend for garments made from mole fur has died out.